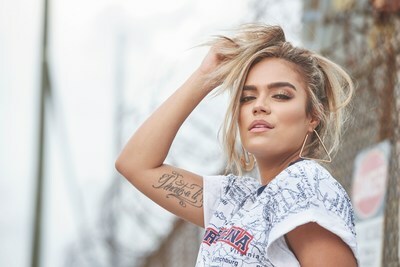 LOS ANGELES, April 2, 2019 /PRNewswire/ -- Billboard is delighted to announce today that artists Anitta, Natti Natasha, Karol G and Lali will join marketing guru Luana Pagani, Universal Music Publishing Group president, Latin America/U.S. Latin Alexandra Lioutikoff; and the USC Annenberg Inclusion Initiative's Dr. Stacy Smith for the popular "Women in the Lead" panel at this year's Billboard Latin Music Week. The group of trailblazing women will take the stage on Wednesday, April 24 for an in-depth discussion moderated by Leila Cobo, Billboard's Vice President and Latin Industry Lead. The "Women in the Lead" panelists join previously announced conference guests Juan Luis Guerra, Lele Pons, Wisin & Yandel, Anuel AA, and the Rivera Family. Billboard's Latin Music Week will take place at The Venetian in Las Vegas April 22-25. Anitta, Natti Natasha, Karol G and Lali represent a new generation of chart topping female artists who are redefining Latin music with distinctive, and successful sounds. All are finalists to the 2019 Billboard Latin Music Awards. Argentine singer, composer and actress, Lali started her singing career with the music band "Teen Angels" traveling around Latin America, Spain, Italy and Israel. Hugely popular, Lali is a finalist in the Social Artist of the year category. Hailing from Brazil, Anitta is widely known for her smash hit collaborations with artists such as J Balvin, Maluma, Iggy Azalea, Major Lazer and more. Anitta has three hits on the Hot Latin Songs chart, including one top 10: "Machika," with J Balvin and Jeon (No. 10 peak). The song also hit No. 1 on Latin Airplay. She is also a finalist in the Social Artist of the Year category. Natti Natasha comes from an extraordinary chart year, with 13 hits on the Hot Latin Songs chart, including three top 10s and one No. 1 ("Dutty Love," with Don Omar, in 2012). She also has two Hot 100 entries ("Criminal" with Ozuna, and "Sin Pijama" with Becky G). Her debut album Illuminatti debuted and peaked at No. 3 on the Top Latin Albums chart and No. 149 on the Billboard 200. Natti Natasha is up for two Billboard Latin Music Awards. Karol G has 11 hits on the Hot Latin Songs chart, including five top 10s and one No. 1 ("Dame Tu Cosita," with El Chombo and Pitbull, feat. Cutty Ranks). She's also earned two Hot 100 entries ("Dame Tu Cosita" and "Secreto" with Anuel AA). Her debut album Unstoppable debuted and peaked at No. 2 on the Top Latin Albums chart and No. 192 on the Billboard 200 in 2017. She is up for three Billboard Latin Music Awards. 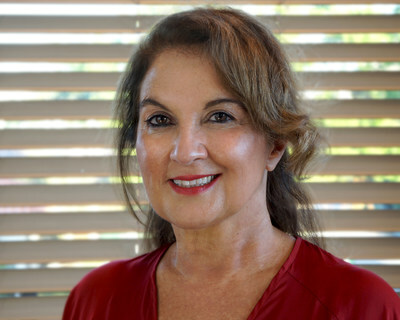 Throughout her extraordinary career, marketing guru and music industry leader Luana Pagani has been hailed as dynamic, creative and visionary. As President of SeitrackUS, a sister company to Mexican OCESA, Seitrack she has been key to the development of artists including Miguel Bosé, Zoé, Bronco, Ha*Ash and, more recently, Ximena Sariñana in the US and the South of Latin America. Pagani helped catapult the global careers of artists like Ricky Martin, Alejandro Fernandez, Alicia Keys, Beyoncé and Maroon 5, among others throughout Latin America. She has consecutively made the 2017 and 2018 list of Billboard's Latin Power Players. Dr. Stacy L. Smith is the Founder & Director of the USC Annenberg Inclusion Initiative (AII), which is the leading global think tank studying inequality in entertainment. Dr. Smith's groundbreaking research examines inclusion (e.g., gender, race/ethnicity, the LGBT community, people with disabilities and mental health) across film, TV and digital platforms, and the music industry. 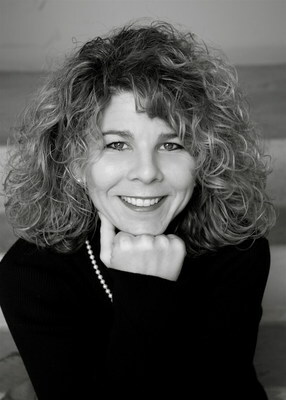 Beyond research, Dr. Smith crafts compelling and innovative solutions to entertainment inequality, such as introducing the concept of the inclusion rider to the entertainment industry via her 2016 TED talk, a 2014 opinion piece in The Hollywood Reporter and, more recently, launching the #4percentchallenge. Named the most influential person in Los Angeles by LA Weekly in 2015, Dr. Smith also serves on the Recording Academy Task Force on Diversity & Inclusion. 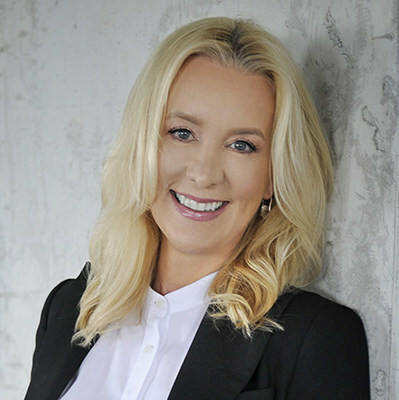 Alexandra Lioutikoff is President, Latin America and U.S. Latin at Universal Music Publishing Group. She is the first female president of Latin America and U.S. Latin for a major music publishing company. Under her leadership, UMPG Latin has signed Romeo Santos, Anitta, Espinoza Paz, Rvssian, Roc Nation Latin Publishing, Bruno Martini, Rich Music and Justin Quiles, Young Martino, MadMusick, Raymix, Christian Nodal and Mon Laferte, among others. "Our 'Women in the Lead' panel is not only powerful; it is an agent of change. We look forward to again having a marquee group of women who make a difference," said Leila Cobo, Billboard's Vice President and Latin Industry Lead. Returning for its 29th year, Latin Music Week features Q&A sessions and panels, including its signature "Star Q&As" as well as panels focusing on streaming, videos, both mainstream and Latin collaborations and more. The leading Latin music industry event will include the return of the standout Women's Panel, which became a catalyst for change in the Latin industry in 2018, as well as panels on streaming, new business models and BMI's fabled "How I Wrote That Song" panel. Building on its deep foundation of bringing music to fans, Honda has brought together an unprecedented group of entertainment and technology leaders, including iHeartMedia, UPROXX, Vevo, Billboard and Universal Music Group to produce and distribute some of the best original, high-quality music content available. Honda Stage is a unique combination of live events including the Honda Civic Tour and premier music festival partnerships with Austin City Limits and Governor's Ball; and, exclusive online content offering music fans access to custom live and online music programming and performances, artist interviews and more.